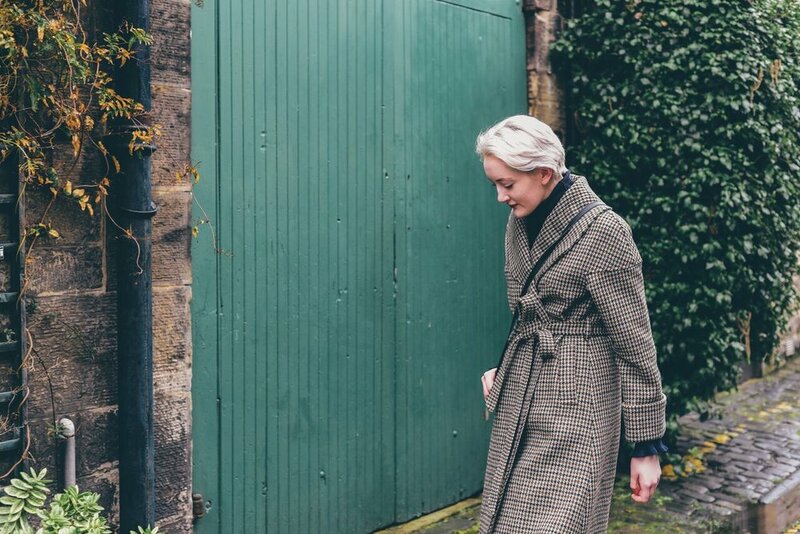 My latest outfit post, shot in rainy Stockbridge (one of Edinburgh's prettiest neighbourhoods) with photographer Ellie Morag, features a dress and coat by Scottish fashion designer Elizabeth Martin, who I've recently started doing the digital marketing for, and I am thrilled to finally showcase the brand on Urbanity! What makes Elizabeth Martin Tweed a truly unique label is that it uses only 100% British fabrics and other components; supporting small, skilled local manfacturers and suppliers, including world-renowned Harris Tweed, MYB Scottish madras lace, Jones & Co buttons, Halley Stevensons Dundee waxed cotton and The Lining Company satin linings. What's more, there is an exquisite finish on every garment- seriously, there is not a thread out of place, everything is lined for supreme comfort, and they are tailored to fit like a glove. 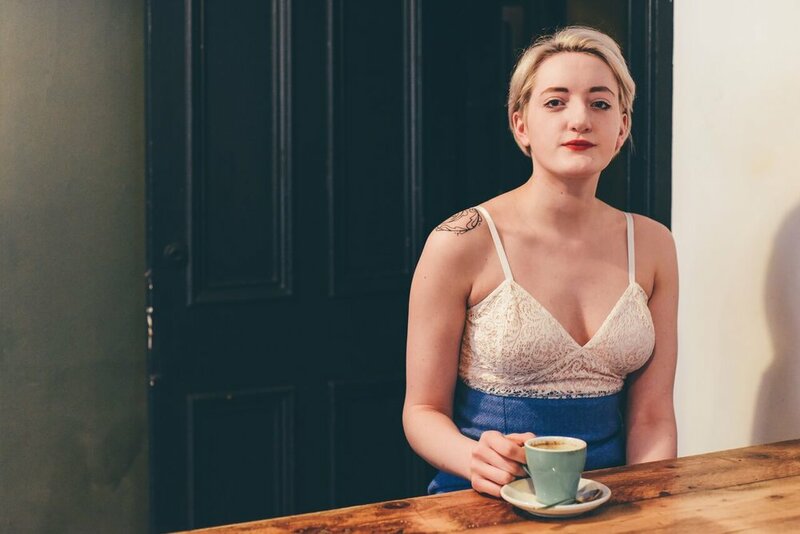 When you slip on an item of clothing that is so beautifully made with love and care by a dedicated and talented independent designer, it truly feels extraordinary, and you know that you will be wearing it again, and again, and again; the ultimate ethical fashion experience. Here, I'm wearing the 'Cora' coat in check (buy here), a versatile a-line wrap coat with a statement shawl collar and roomy pockets, and the 'Edie' dress (buy here), an empire line, body-hugging slip camisole dress with an intricate white lace bodice and retro-style Harris Tweed pencil skirt in powder blue. Both garments are available in various other colourways too!